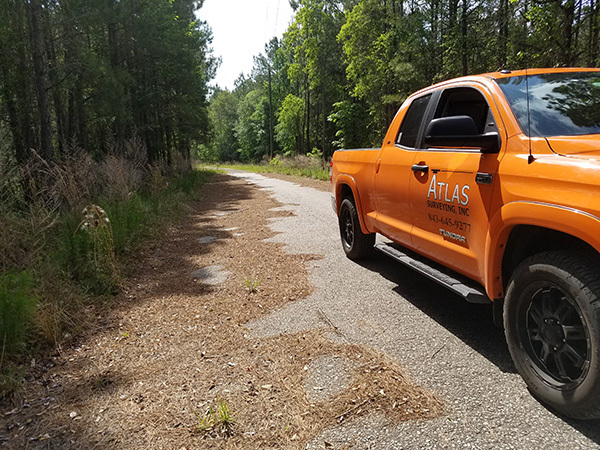 Topographic Surveys & Tree Surveys | Atlas Surveying Inc.
What is a tree & topographic survey? It is a survey that not only includes the boundary of the property, but also shows the position, species, and size of the trees required to be located, the topographic features of the property, the utilities found on the property, and any improvements that have been made to the property. If you’re planning to build a home or a commercial building, it is advisable to check with the governing body you are building in to see if there is an existing tree ordinance. They want to know how many trees will be affected by the new construction often wanting to preserve certain trees in order to enhance the property’s value. The tree & topographic survey provides the necessary information for design purposes. Many of the same important factors come into play with a tree location survey for any commercial development. Tree Surveys and Topographic surveys are the first step in the development of a property. They provide engineers, land planners, and architects a starting point to design a site. Because of the special tree guidelines of the surrounding areas, our crews have the tools and the training to correctly identify the species and dbh (diameter breast height) of trees. They physically measure the trees with special tree tapes to prove their information to be accurate and use tree identification guides to label species correctly. This way, your property and the trees can both be protected when you choose to improve your property. Our experience working with these professionals gives us the advantage of knowing what they need to see on a survey. Accurate topographic data, man-made improvements, utility locations, and setback information are critical to their design. Contact us today to find out more about our Tree and Topographical Surveys and get your project started the right way!